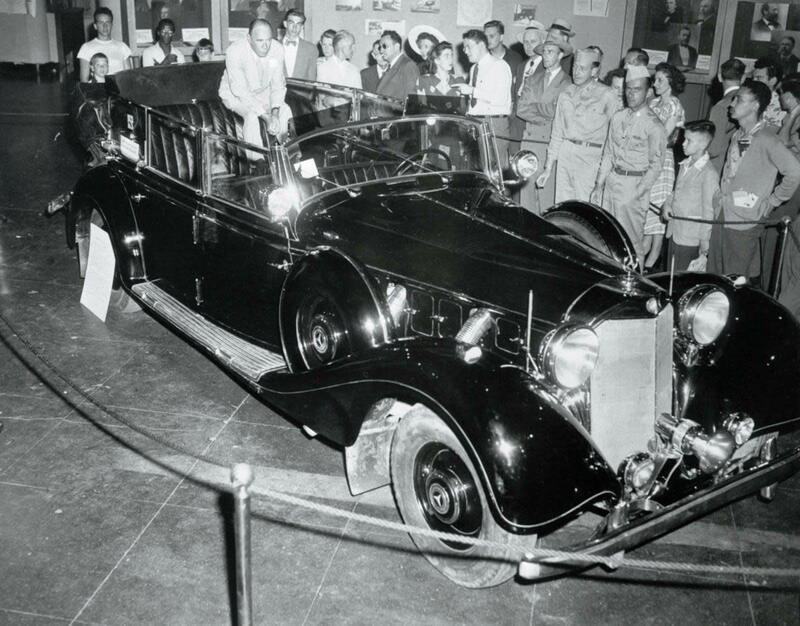 Some 100,000 people paid to see Hitler's personal Mercedes. Nobody knew who tipped them off, but the reporters were everywhere. They’d come from the Herald Tribune, TheNew York Sun and TheNew York Times; from the Associated Press, the United Press and the International News Service, too. On that balmy Monday, they clustered below the cast-iron girders of Pier 97 on the west side of Manhattan, gazing expectantly at the soaring white hull of the M.S. Stockholm. At 525 feet long and boasting a passenger capacity of 385, the Swedish-American liner was minuscule compared to imperious liners like the Nieuw Amsterdam and Queen Mary. But the reporters and photographers had not come to see any passengers: They were here for a piece of cargo. The drum winches began to turn, and a deck crane whined as its cable hoisted its charge from the cargo hold below. Emerging into the sunlight was an automobile, one unlike any on American roads. 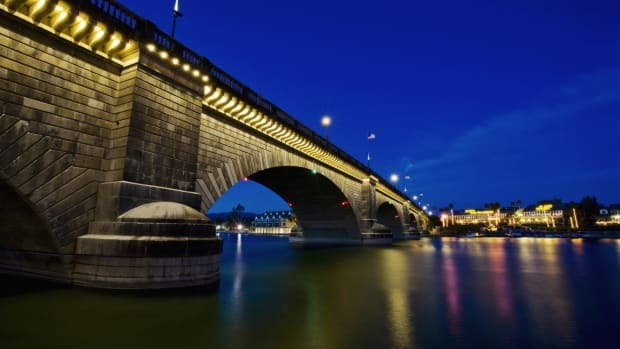 It was a Mercedes-Benz limousine: 20 feet long and weighing 10,000 pounds, a chrome-plated convertible painted a shade of cobalt blue so dark it read as black, with fat exhaust hoses snaking from its engine. Beautiful but sinister, the car looked like something the devil himself might have driven and, indeed, he essentially had. 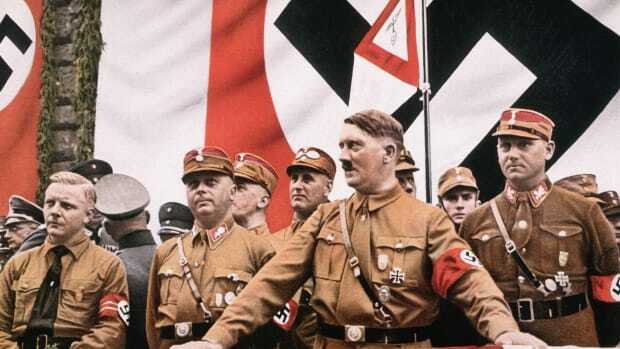 It was June 28, 1948, and Adolf Hitler’s car had arrived in New York City. As the photographers popped their magnesium flashbulbs, reporters gathered around a tall, dark-haired man in a summer suit. His name was Christopher Janus, and the Mercedes belonged to him. This was the first he was seeing the car, too, and he was as surprised as anyone. Janus tugged at the limousine’s driver’s side door, which swung open like the hatch of a tank. The car, he knew, essentially was a tank: The Nazis had armored the limousine to withstand a land mine and installed 13 secret compartments for firearms. Janus scampered into the front seat and hammed for the cameras. “What do you plan to do with it?” a reporter asked. Janus smiled. “I don’t know what I am going to do with it,” he said. Hitler’s old Mercedes. Janus was stunned by the offer, and more stunned when he heard himself accepting. But now, sitting in the limousine’s black-leather interior, Janus—not for the first time—was pondering what to do with a car this big, this heavy, this weighed down by its own past. 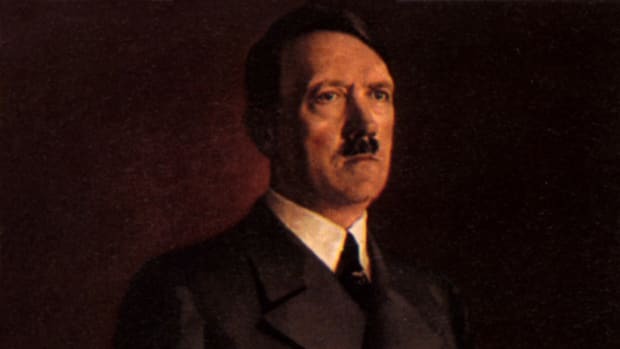 But he had an inkling: “I thought that Hitler’s car would be a great attraction to raise money for charity, and, incidentally, to get my investment back,” he later wrote in his memoirs. Janus was in the hole for $27,000—roughly $279,000 in today’s dollars. The car would need to earn its keep. While the slender, handsome Chicagoan was only 34 years old, he’d already lived a colorful life. The son of Greek immigrants, Janus grew up poor but wound up at Harvard before stints as a reporter and ad-man. Rejected for wartime naval duty because of poor eyesight, Janus went to work for the State Department. He was a gifted PR man with a sharp mind and a progressive streak. 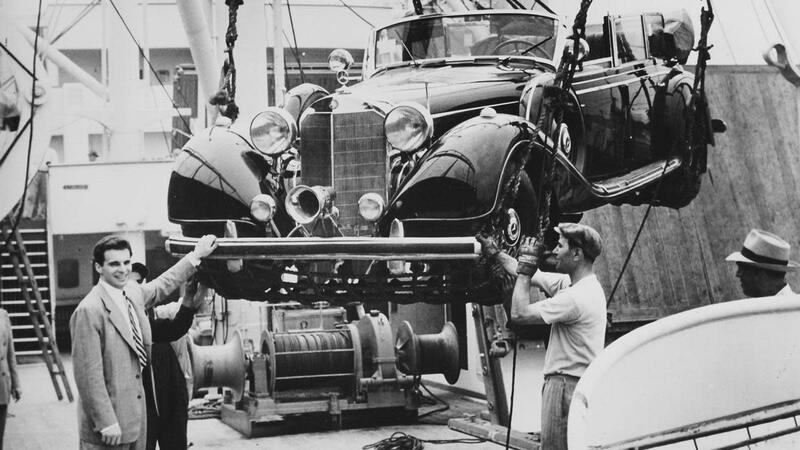 Understanding that the 1941 Mercedes-Benz 770K Model W150 offener tourenwagen possessed a rare combination of monumentality and notoriousness, Janus drew from his past to formulate a spectacle that would dominate New York that summer: He would make Hitler’s car into a public event, and funnel the proceeds to worthy causes (including himself). Janus had already received offers to buy the car from everyone from a circus owner to a mobster. He turned them all down. But when Rockefeller Center invited Janus to exhibit the mammoth convertible at its Museum of Science and Industry, he accepted. The crane required to lift the 770K through a window opening on the second floor of the RCA Building closed 50th Street. Once the car was safely behind velvet ropes, New Yorkers came in droves, paying the 30-cent admission for a glimpse at “the most famous used car in the world,” as the publicity materials dubbed it. One of Janus’ close associates, 20th Century Fox president Spyros Skouras, had tried to dissuade him from displaying the Mercedes. 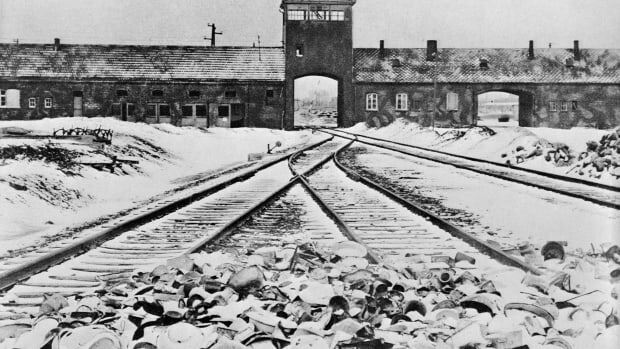 “Who is going to pay to see Hitler’s automobile?” Skouras had challenged. 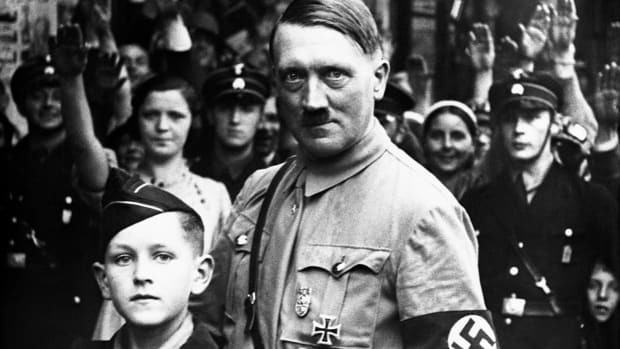 “He is the worst person who ever lived.” But Janus understood something his movie-mogul friend did not: The fact that Hitler was the worst person who’d ever lived is exactly why New Yorkers would pay to see his car. It didn’t hurt that the proceeds would be going to war orphans, among other charitable causes. 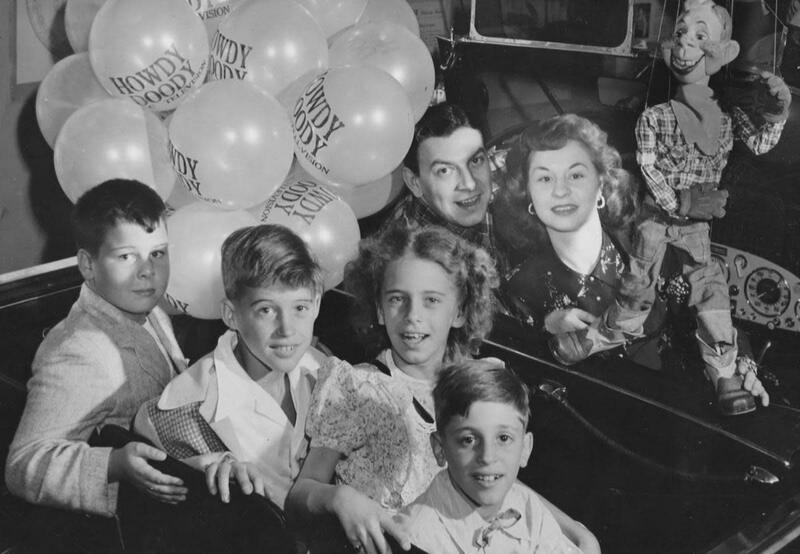 In the 30 days the limousine spent at Rockefeller Center, no fewer than 100,000 people came to gaze at it—including the biggest TV star of the day: A surviving photograph from the exhibit shows a bunch of kids with balloons piled into the massive convertible and, sitting in the front seat, in the place reserved for Hitler, was Howdy Doody. The car was a keeper of secrets—some of them automotive (it had taken a mechanic four hours just to figure out how to start the engine), and some historical. 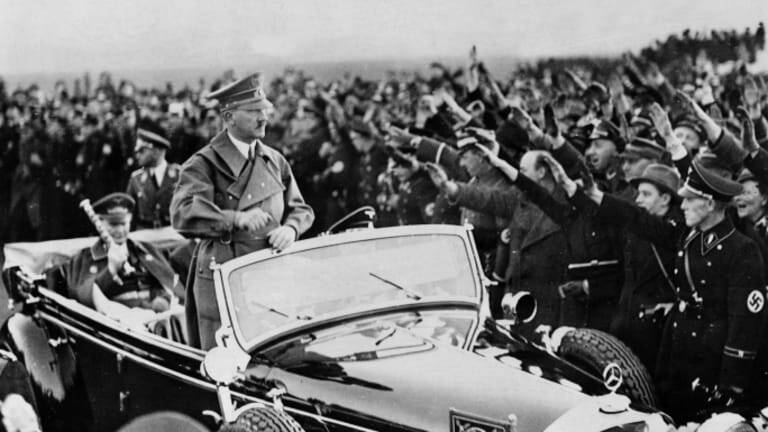 Though Janus had billed his limousine as Hitler’s personal car, the truth was that the Mercedes had carried the dictator only a couple of times. Prior to its arrival in New York, the 770K had spent most of its time in the garage of the Finnish military leader Carl Gustaf Mannerheim, who would go on to serve as Finland’s president near the end of the war, and to whom Hitler had given the limousine in hopes of keeping Finland in a frail military alliance with Germany. How much of this Janus knew remains unclear. 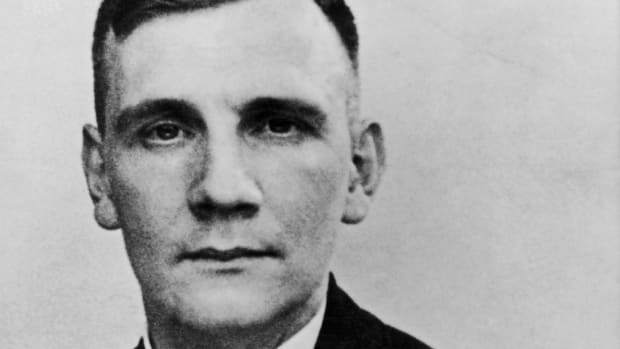 Robert Klara is the author of The Devil’s Mercedes: The Bizarre and Disturbing Adventures of Hitler’s Limousine in America, published in 2017 by Thomas Dunne Books.